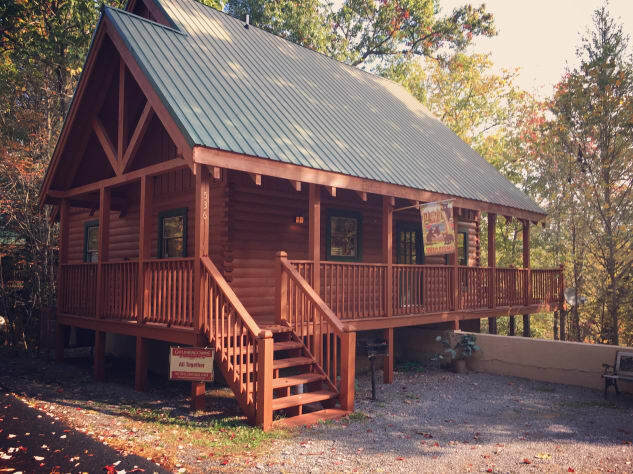 All Together cabin is conveniently located between Pigeon Forge and Gatlinburg putting you at either location within an easy 5-8 minute drive. 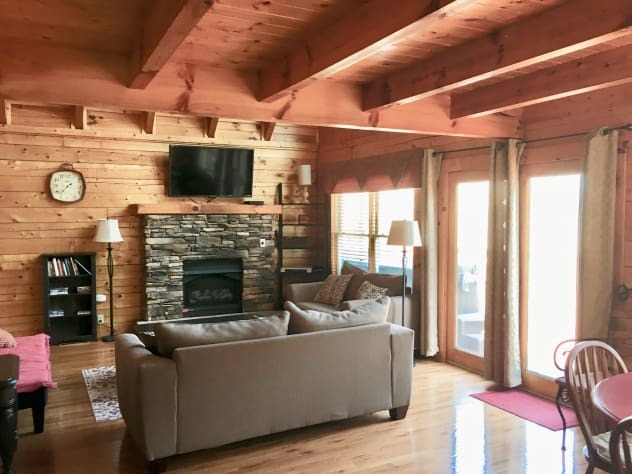 The cabin has been updated in 2017 with new appliances, new pillow top mattresses, new towels and linens, and new living room furniture. February 2018 all carpet is being removed and replaced with hardwood. 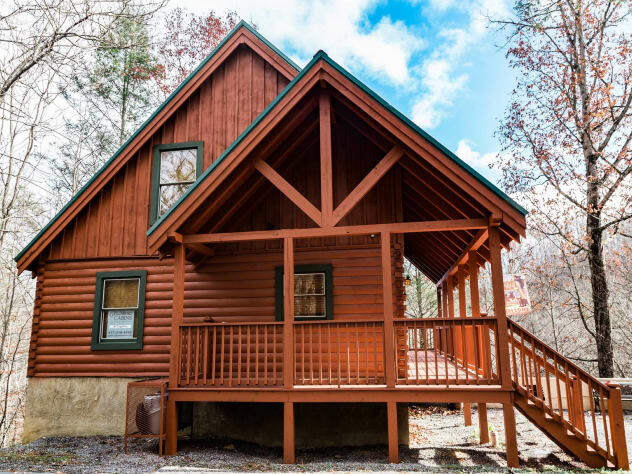 This 2 bedroom, 2 bath cabin will comfortably sleep up to 6 people and provides you with all of the conveniences of home yet gives you the peacefulness of being tucked away in the Smoky Mountains. 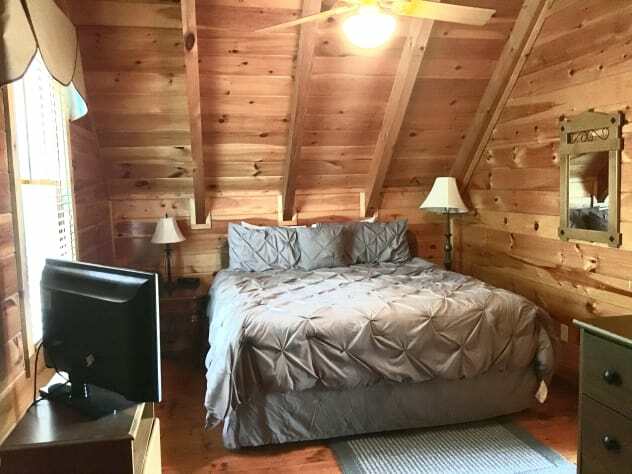 There is one bedroom downstairs with a queen sized bed. The living room has a sofa that pulls out into a queen sized bed and one futon couch that lays down to be a twin sized bed. 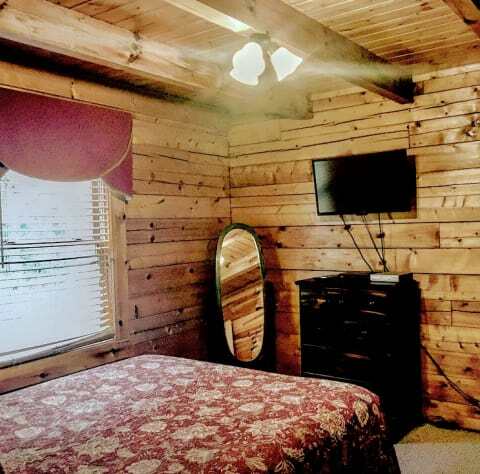 There is one bedroom upstairs with a king sized bed and its own private bathroom. 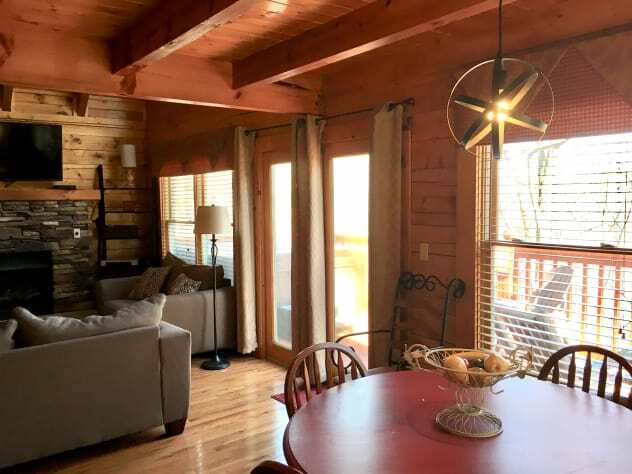 If you are wanting to get away and just enjoy the peace and quiet, you will be very comfortable in "All Together" with the 3 Flat panel TVs providing cable to each and staying connected with the complimentary high speed WI-FI. 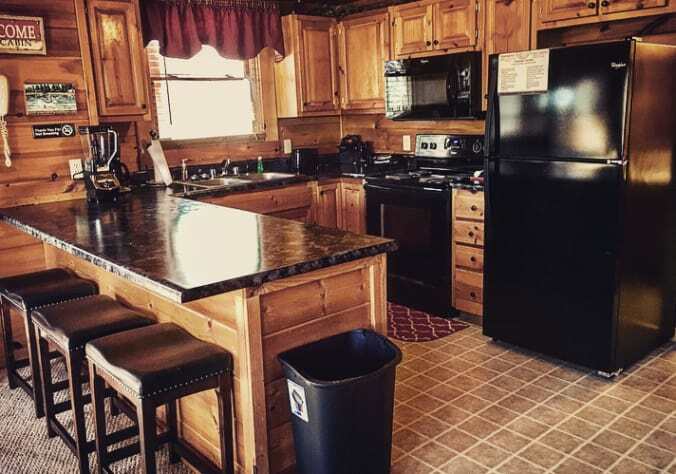 The kitchen comes fully stocked with utensils and ample cookware making it easy for a quiet night in with groceries that you provide. 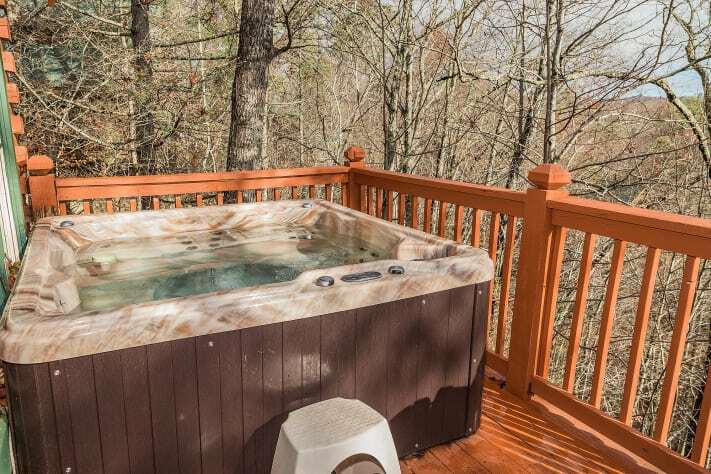 After dinner, step out onto the back deck to enjoy the serenity of being located within the Wildwood Forest by soaking in the 6-person, color changing hot tub that is drained and sanitized before your stay. 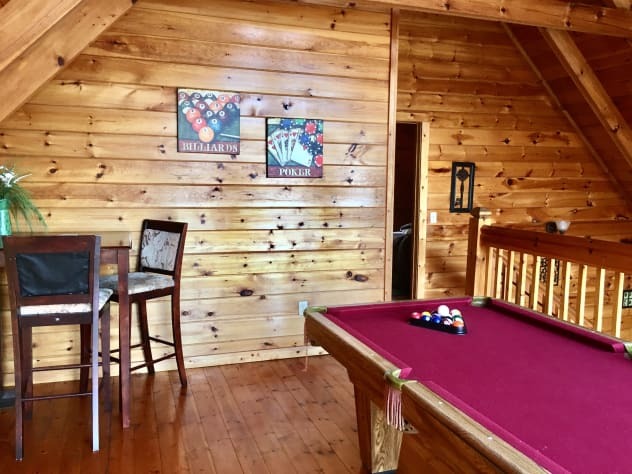 Or pop upstairs to enjoy a game of pool before heading into the master retreat. 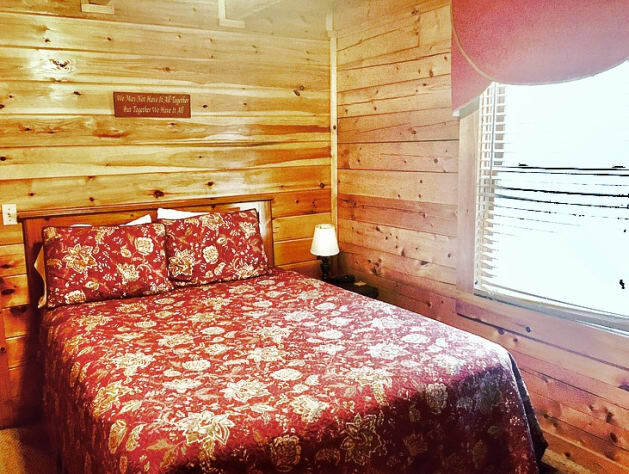 We provide you a clean cabin upon your arrival with freshly cleaned bedding; ample towels and wash cloths; a small starter set of essentials such as trash bags, paper towels, toilet paper, and dishwasher soap. 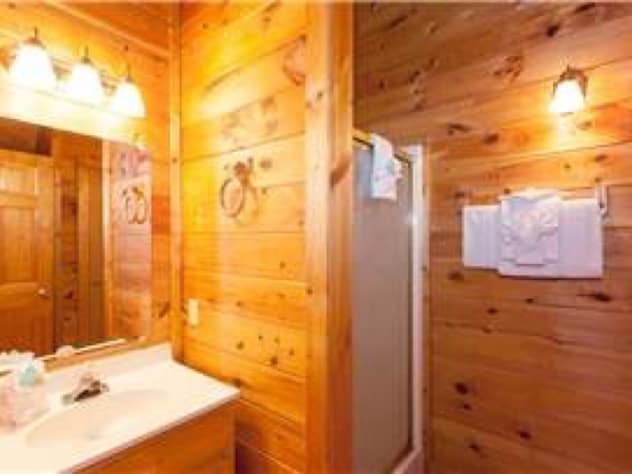 There is a washer and dryer for your convenience but you will need to provide your own detergent. 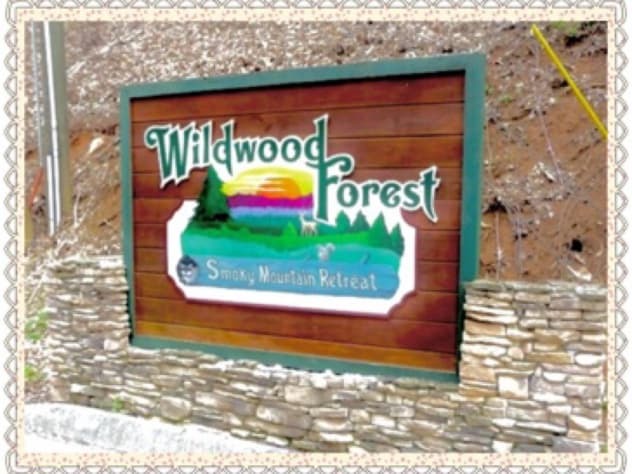 The drive to the cabin does wind up to the top of the mountain, but it is an easily managed drive on a fully paved road. Parking is flat and will allow for two vehicles: One beside the cabin and one in front of it. 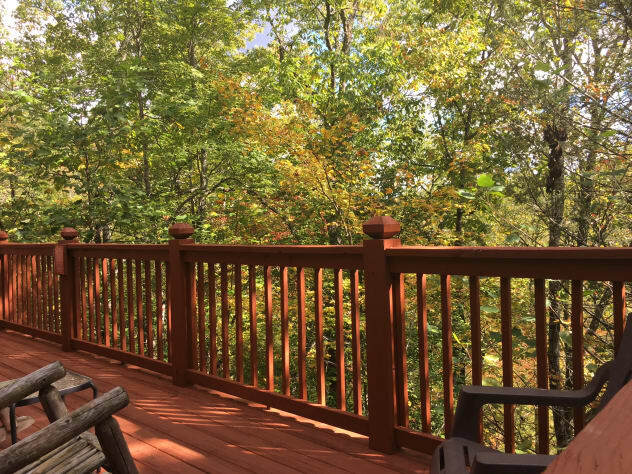 We really enjoyed our stay and the cabin was very nice and clean and the location was close to both the center of Gatlinburg and Pigeon Forge and the beds were very comfortable. Our family really enjoyed our stay. 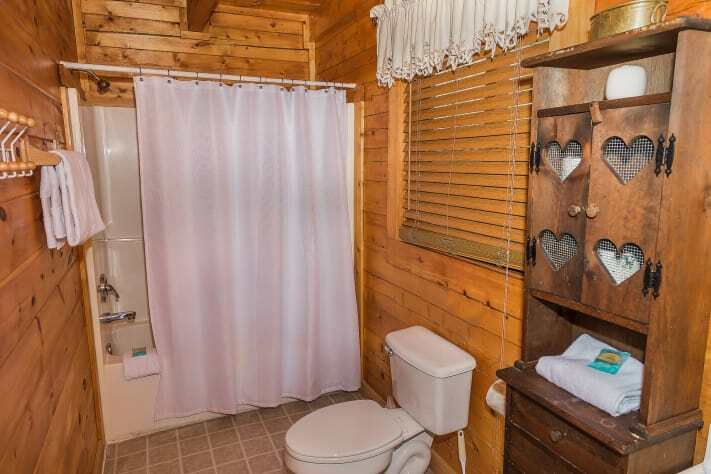 The cabin was very nice. The kids really loved the hot tub and pool table. The cabin was decorated for Christmas so we had an impromptu Christmas celebration. I had all I needed to prepare a dinner. The location was very nice and central. The drive was not that bad. 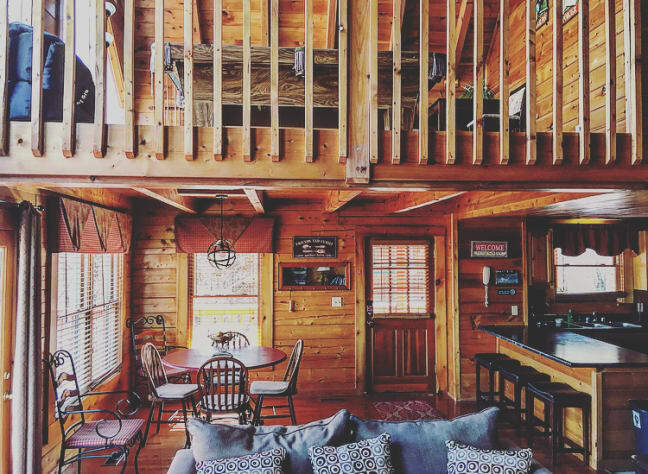 I would recommend this cabin for a family and I would come back. 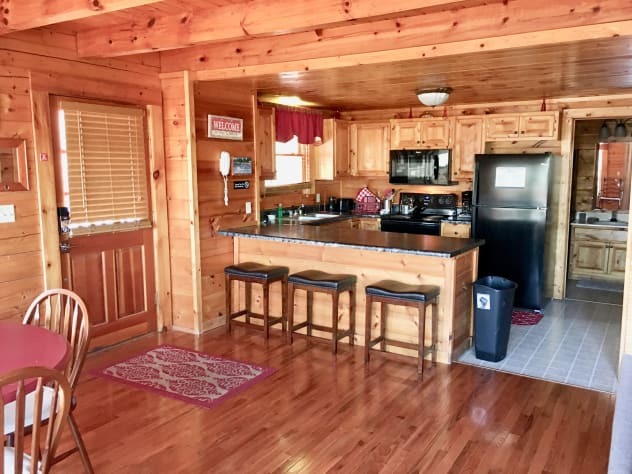 This cabin is like it says, it is in the perfect location. It was easy to get to and has everything in it we needed and or wanted. The washer and dryer was so nice to have. When we got home all I had to do was put away clothes. 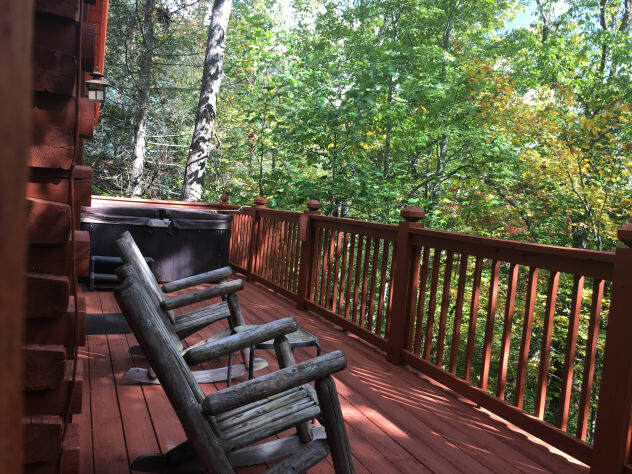 The outside had a hot tub and a nice deck. We seen a bunch of Turkey's one morning. We looked for a bear but since we visit so late in the year we knew we probably wouldn't see one. The owners are nice and friendly also. 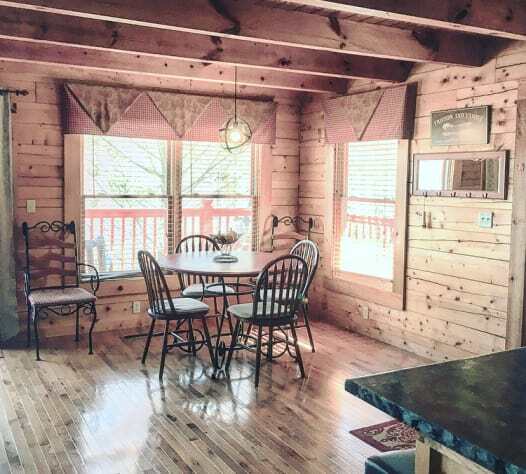 Very easy to book the cabin and during your stay if you have questions they answer in a timely fashion. 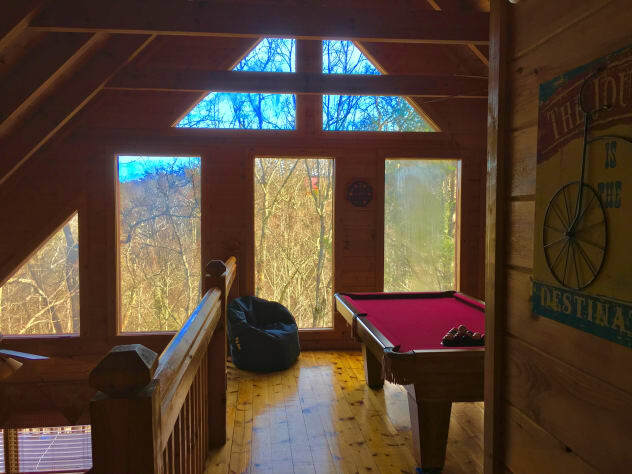 We loved this cabin so much we have already booked for next year! We can't wait. Quick trip for the family as we were passing through. Wish we could've stayed longer. We will be back with a longer stay. 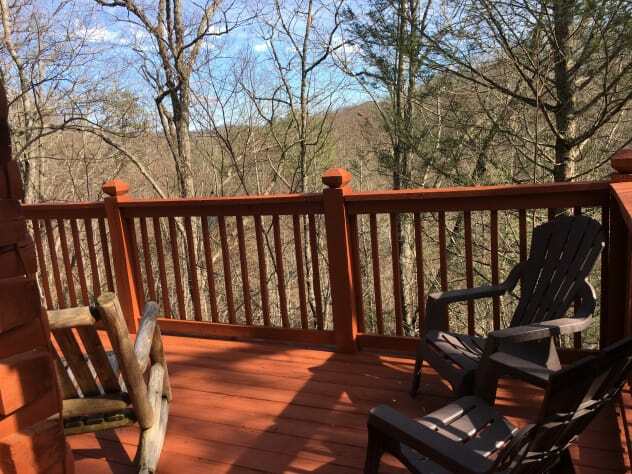 Cabin is central to both popular towns. We had all we needed for cooking and comfort. Beautiful views; they weren't Mountain views but the nature that surrounds is absolutely gorgeous. 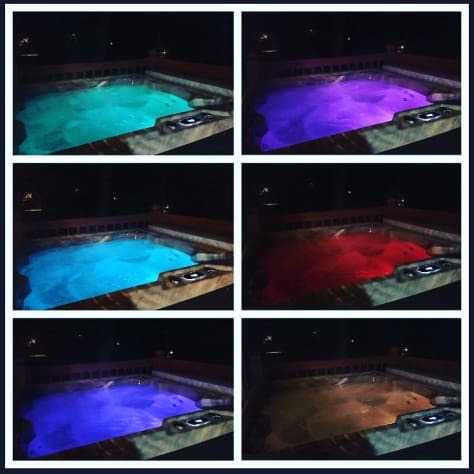 Comfy beds, neat color changing hot tub, and fun pool table looking loft were our favorites. 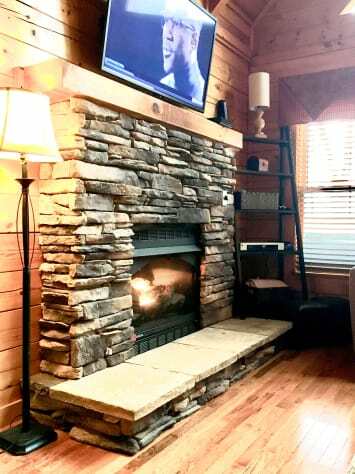 Highly recommended for comfort, convenience, and location. 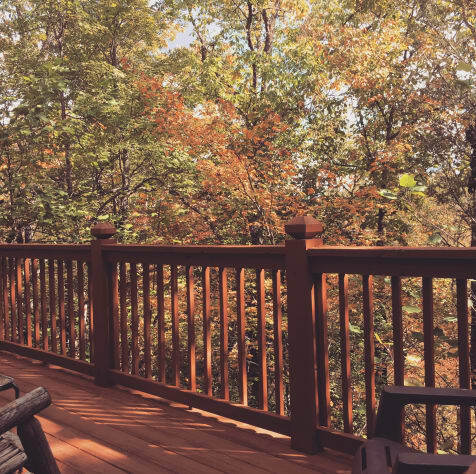 Our family getaway was more than we could've hoped for. We hiked, fished, shopped, and played. 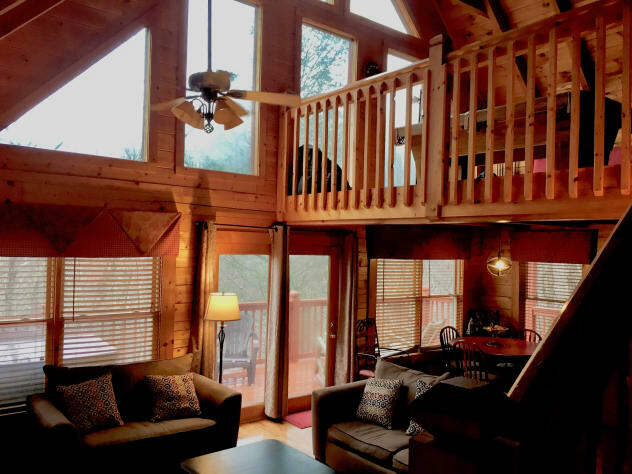 This cabin was so inviting and we couldn't wait to come back to it each time we left. We loved the location and taking family strolls up and down the private road.